We offer Straightening Machines, Shearing Machines, Automatic Cooling Bed, Speed Reducer, Twister Pipes, TMT Equipment and more. 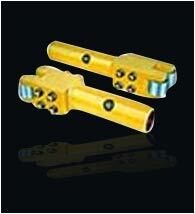 These are available in all standard makes and can also be modified to meet individual application needs. Designed with excellence, these easy to operate and install machines. We are trusted manufacturers and suppliers of straightening machines that have gained appreciation for optimum performance and longer service life. Designed with the assistance of our engineering excellence, these machines are used for straightening rolled steel sections such as angle, channels, rounds, and beams. We are engaged in the manufacturing of shearing machine for hot rolled that can be customized as per the clients specific requirements. 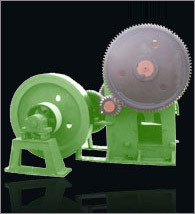 Our range comprises rotary shearing machines, scrap shearing machines, cold crop shearing machines, flying shearing machines and alligator shearing machines. 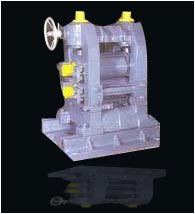 Robust in construction, these machines are used for cuffing of spirited hot ends, cold crops and scraps. Capacity: of 1" to 6"
We are a force to reckon with, when it comes to supply automatic cooling bed. Our range comprises simple manual handled cooling bed, automatic rake type cooling bed, simple rope skid, chain skid type cooling bed and turn-over cooling bed. Compact in design, these beds cool the material as well as cross transfer towards the discharge end. We even customize these beds as per the clients specific requirements. Simple manual handled cooling bed with 'W' Channel, Stationary Platform and run out of table. 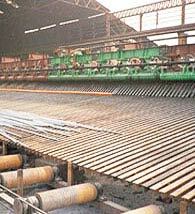 Automatic rake type cooling bed, which transfer the material by one pitch for every rake movement. These are provided with twin channel bar delivery system or run in table with apron type diverts and bar aligning arrangement. Simple rope skid/chain skid type cooling beds for sections. Our speed reducers feature brand new speed setting mechanism that optimizes the operation, extending the lifetime of the core parts. 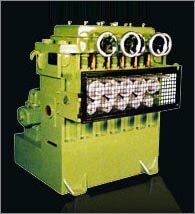 These innovative machine component also the heavy duty motors to run cooler and smoother than ever before. The inline planetary design provides the user with confidence that environmental and safety requirements are being satisfied. 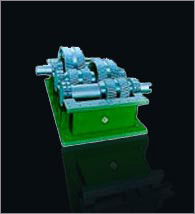 We specialize providing variety of speed reducers based on the requirements of the clients. 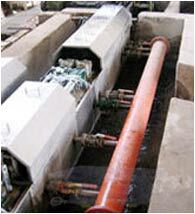 We offer high quality twister pipes widely used for twisting and bending the pipes. Made from high quality raw material, these pipes feature high metallurgical strength that guarantees ultimate durability. Innovative of the mouthpiece provides perfect grip on pipes and tubes of different diameters. Available in different specifications based on the requirement of the clients. Our Thread Mill Test Equipment (TMT) is specially designed for producing TMT bars and rods in practically all sizes. The package includes basic quenching box with set of high pressure injectors and strippers, direct drive shear and pinch rolls, instrumentations and controls. We also specialize in customizing TMT equipment to meet the unique requirements of the customers. Our range of twin channels offers perfect solution for bar handling at cooling bed. These channels are used to collect the TMT bars leaving the Quenching boxes after being sheared by the Flying Shear in two strands. The channel consists of CI central box, water cooled to prevent warping during rolling, and C-type CI channels which are suspended from a longitudinal structural. 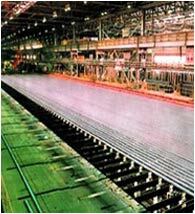 We offer an advanced range of continuous rolling mills engineered to offer high productivity with precision. The compact design of the mills allow considerable space saving with additional possibility for integrating the system with other equipments. Our range of continuous mills can be used for production of seamless pipes, tubes, wires, bars, sections etc.